Question- Do I have to clean up the house before J. Brian Day arrives? Answer-No you do not have to clean your house before our project manager arrives at your home. J. Brian Day employees do not judge the state of your home when we arrive. We realize that you have not had the time to clean your house or freshen it up. 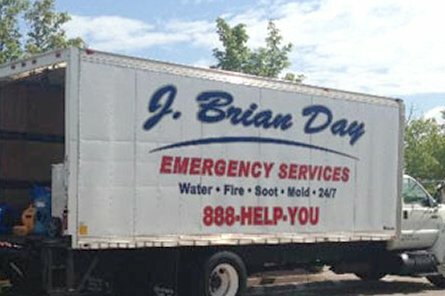 You and your family are very busy and just suffered a problem with your home and the J. Brian Day technicians are keeping everything confidential that we are witnessing. Let the Professionals do the cleaning from J. Brian Day. Most likely we are going to get paid by your insurance company to clean your home so why clean before we arrive? Question- What about my valuables? Answer- Please get all of your most expensive jewelry and belongings out where we can inventory and store them away for you while our carefully trained technicians start cleaning your home. We have some of the most honest staff members that a company can ask for but when there is so much confusion and sometimes more than one person is in your home… It is best just to inventory and store your valuables in a monitored safe until your home is ready for normal living again. Question- Will my neighbors be disturbed? Answer- Don’t worry about what the neighbors are thinking! You should be proud to have a professional and well-known company servicing your needs. J. Brian Day is one of the best well-liked professional companies that you can have in your home.